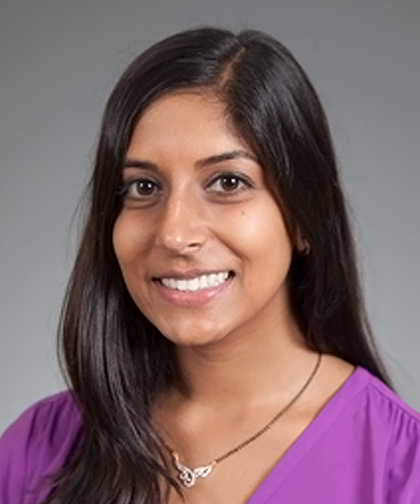 Priya Narayanan Jain, MD, is a Pediatric Hospitalist at Children’s Hospital at Montefiore, as well as an Assistant Professor of Pediatrics at our Albert Einstein College of Medicine. Dr. Jain joined Montefiore in 2016. Her clinical focus is on advancing the care of hospitalized children via evidence-based clinical work, education and innovative research. Dr. Jain received her Bachelor of Arts in Psychology from New York University in 2005. She then attended Robert Wood Johnson Medical School where she received her Doctor of Medicine. Dr. Jain completed a residency in Pediatrics in 2012 and chief residency in 2013 at Children’s National Medical Center. Dr. Jain’s research interests include education research and implementation of high value/evidence-based care. She is currently a part of a quality improvement project focusing on transitions of care and reducing readmissions. Dr. Jain is board certified by the American Board of Pediatrics and a member of the American Academy of Pediatrics, Section on Hospital Medicine.